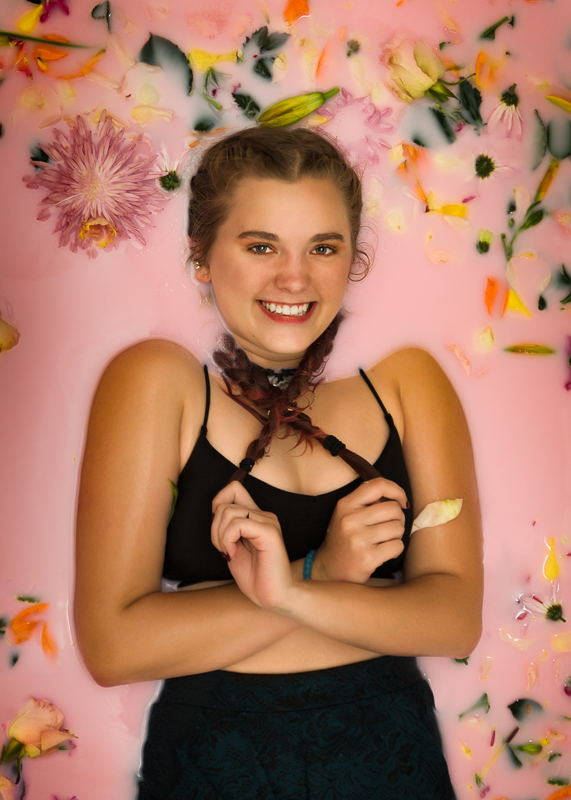 Portage Michigan Senior Picture Ideas: Milky Fun! A group of brave Angelworks Models came together last month to play with milk - six gallons to be exact! Add about 30 gallons of water, 5 bouquets of flowers and a leaky kiddie pool, and we made milk magic! I love the variety we got from each of the looks. Thank you to Kaitlin, Liz, Marissa, Emmy, Alexis and Charlie for diving in and making this shoot amazing!! Newer PostPortage Michigan Senior Picture Ideas: Flour Anyone? Older PostPortage Michigan Senior Pictures: Meet Sarah!